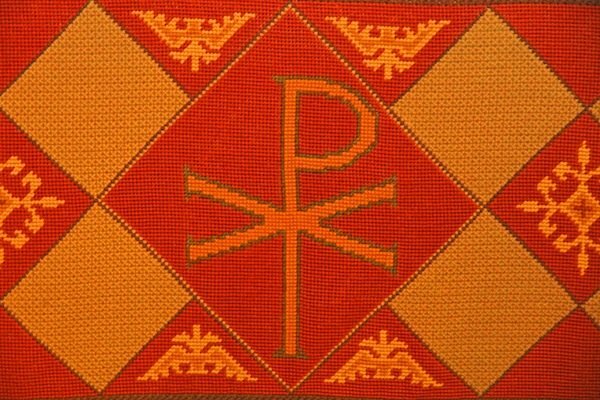 Christ Church North Adelaide has adopted the Chi Rho as our church symbol. The Chi Rho is the one of the earliest forms of Christogram, and is used by Christians. It is formed by superimposing the first two (capital) letters Chi and Rho (ΧΡ) of the Greek word "ΧΡΙΣΤΟΣ". Although not technically a Christian cross, the Chi-Rho invokes the crucifixion of Jesus, as well as symbolizing his status as the Christ. The Chi-Rho symbolizes the victory of the Resurrection over death, and is an early visual representation of the connection between the Crucifixion of Jesus and his triumphal resurrection, showing the death and resurrection of Christ to be inseparable.